4″ Platinum Cab Length Black Powder Coat Oval Tube Step Bars (21-3505) by Westin®, 1 Pair. Material: E-coated Mild Steel. 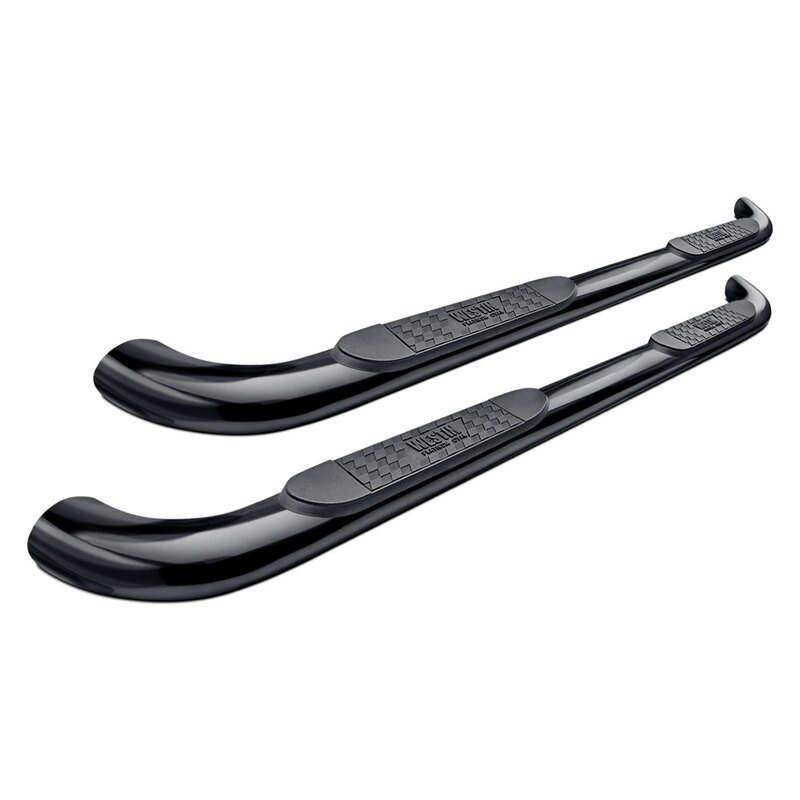 Platinum 4″ Oval Nerf Step Bars have bigger and beefier look and feel than traditional 3″ steps. The added strength and the wider step area add to user confidence.